The IOSH Managing Safely course is designed to provide knowledge and skills for effective health and safety management as well as loss control practices. 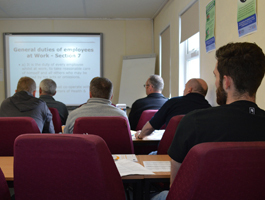 This course is intended for managers and supervisors with the responsibility for safety. To provide managers and those with leadership responsibilities with the knowledge and skills to integrate effective health and safety management and loss control practices into their leadership role. You will be tested on your knowledge through a 25 question, multiple format assessment paper and a risk assessment based project. Your candidate will be awarded a Institute of Occupational Safety and Health (IOSH) Accredited certificate.